Acuity and AdRoll are two tools with different approaches to “retargeting,” narrowing ad focuses based on the behavior and search patterns of potential customers. Most current ad targeting is done through PPC ads on major search engines, that are targeted based on search terms and geographic location. However, these ads equally target potential window shoppers and potential long-term customers alike. For example, an ad on the keyword “widget” would target people who don’t know what widgets are and lifetime widget enthusiasts equally. Retargeting is the use of other data to narrow down potential customers to those most likely to make large purchases, and then focusing just on those customers. There are two ways to do this: using the data collected from your site itself, the method used by AdRoll, and using data from third party websites, the method used by Acuity. The best way to use AdRoll is to develop different product-specific ad campaigns, each with their own cookies. If a visitor views only a page on plastic widgets, then they should only see ads on specifically plastic widgets. Like AdRoll, Acuity works through major ad exchanges to make sure that it’s virtually guaranteed a targeted customer will see the ads on sites they like to visit. 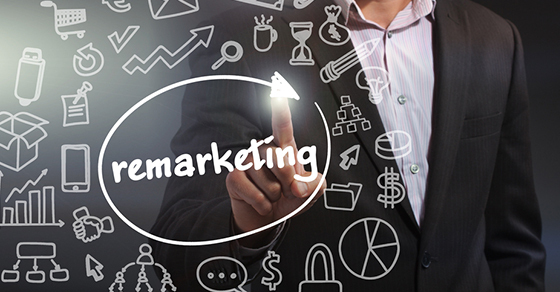 Remarketing increases the CTR and Conversions per Click of most ad campaigns, in most situations. This means more profit per bid. Retargeting also increases brand awareness. If you are targeting someone who buys a lot of widgets, even if they don’t click on your retargeted ads, they will start to think of your brand whenever they think about widgets. This makes it more likely that they will search for your company when they want to buy, even if they don’t click on your ads. You can use marketing intelligence software like AdLuge to closely track customers who’ve come to you via retargeting. I said “of most ad campaigns, in most situations” because sometimes retargeting is not beneficial. The weakness in retargeting is that customers can be annoyed by seeing the same ads over and over. For best results, you should keep your ad campaigns fresh, and your retargeting data fresher. According to a study by Adroit Digital, the more time that has passed since a customer last looked at buying widgets, the more likely that customer is to hate seeing the same widget ad constantly. Only you know whether your company can keep its ads fresh and engaging enough to generate continual interest.